A seminar looking at ways to ensure greater gender diversity at all levels of the aquaculture sector is scheduled to take place in Berlin on 9 October, as part of this year’s Aquaculture Europe (AE2019) conference. Jointly organised by the European Aquaculture Society (EAS) and The Fish Site, the Women in Aquaculture seminar will offer first hand insights into how women can overcome perceived gender-related obstacles and build thriving careers right across the aquaculture sector. 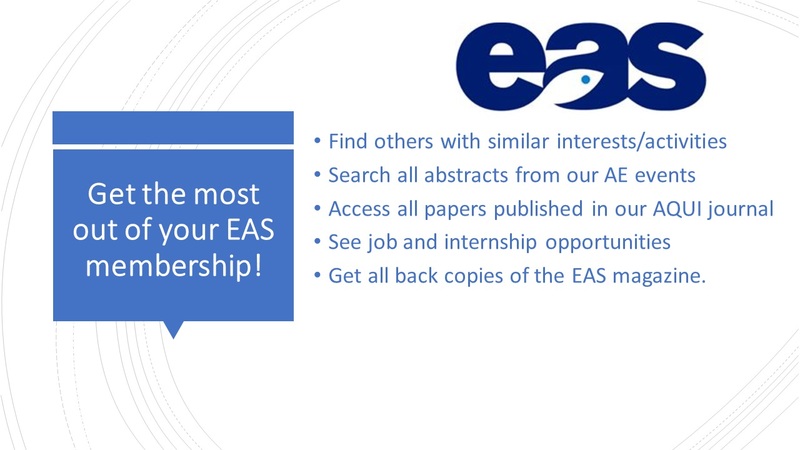 “Many promising young researchers and many of the top aquaculture executives from Europe and beyond will be in Berlin for the annual EAS conference and this special session aims to help companies engage with proactive strategies for building diverse workplaces,” explains Alistair Lane, Executive Director of EAS. The one-hour event will be co-chaired by Nofima’s Synnøve Helland, who is a board member of EATiP and leader of the Gender Panel of EURASTIP, and Rob Fletcher, senior editor at The Fish Site – which has been responsible for a number of women in aquaculture initiatives over the course of the last year. “The Fish Site ran a series of articles on women in aquaculture during 2018 – both to tell the stories of women’s achievements in the sector, and to help attract talented people. The series has had nearly 40,000 visitors, with readers eager to find out why these women chose aquaculture, how their careers have progressed and how their hard-won insights can help others succeed. We hope this seminar will help to build on this success,” explains Rob. “More recently we ran a seminar at Aquaculture UK, in which senior executives outlined why diversity was beneficial in all businesses but was chronically lacking in too many aquaculture companies, especially the executive level. One of the key themes to emerge at the event was the need to establish some form of structured pathway to address this situation. This is a theme we hope to explore in Berlin,” he adds. The event will include a panel discussion featuring prominent figures from academia and the aquaculture industry, who will discuss key issues related to the benefits of diversity in the workforce and ways to ensure that aquaculture organisations pursue recruitment policies that allow talented people, regardless of gender, to succeed. “It is vital for the further success of the industry that it can compete successfully for the best talents. This session is a unique possibility for managers from industry and academia to learn what measures are working, so that others can learn how to recruit the competent women as well as men,” says Synnøve. The seminar will also include a Q&A and an insight into an innovative mentoring programme which has been established to help fast-track ambitious and talented women to the top of the sector. More details of the event will be released in the coming months. 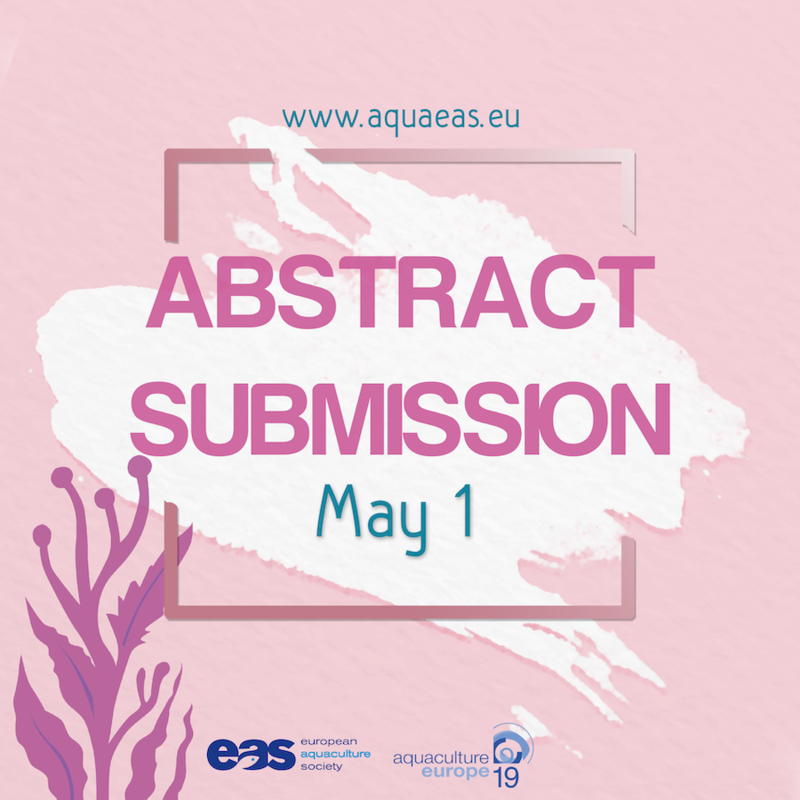 Aquaculture Europe 2019 - Abstract submission! 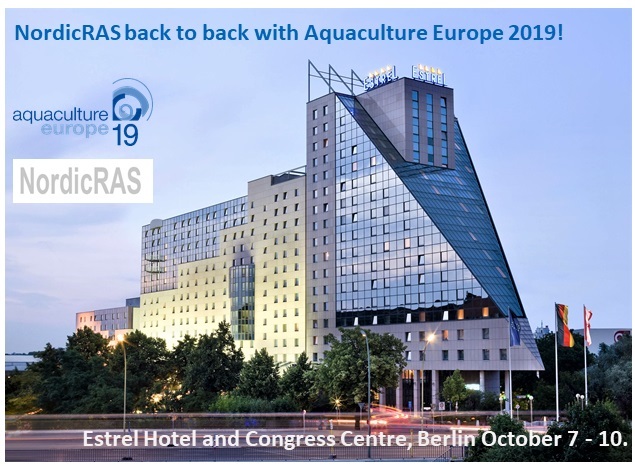 Submit your abstract before May, 1 for Aquaculture Europe Conference in Berlin Germany from October 7-10, 2019.! Aquaculture Europe 2019 encourages the submission of high quality oral and poster presentations. We strongly encourage authors to consider poster presentations because poster sessions will be an integral part of the programme. Papers submitted for "oral presentation preferred" may not be accepted as oral presentations due to the limited number of available time slots. All abstracts must be in English - the official language of the conference. The selection of abstracts is based upon several criteria, but the most important one is quality. Our guidelines have therefore been updated to reflect this. Please take time to read them and ensure that you follow them. Abstracts that do not will not be assessed for inclusion. Each oral presenter shall be entitled to no more than 15 minutes for a presentation, plus 5 minutes for questions. Authors of studies involving proprietary products or formulations should present this information in workshops or the trade show. Oral presentations should use PowerPoint. Overhead and slide projectors and video players will not be available. Presenters that send a PDF or Power Point version of their poster four weeks before the conference will have their poster reviewed within the appropriate oral session. Special poster viewing with authors present is provided during the happy hours. Besides this, posters will be easily accessible during the lunch breaks. In the programme book, special mention will be made in the oral session lists of where the relevant posters can be found. Prizes will be awarded during the wrap-up session for Best Poster and Best Student Poster. All presenters are required to pay their own registration, accommodation and travel expenses. 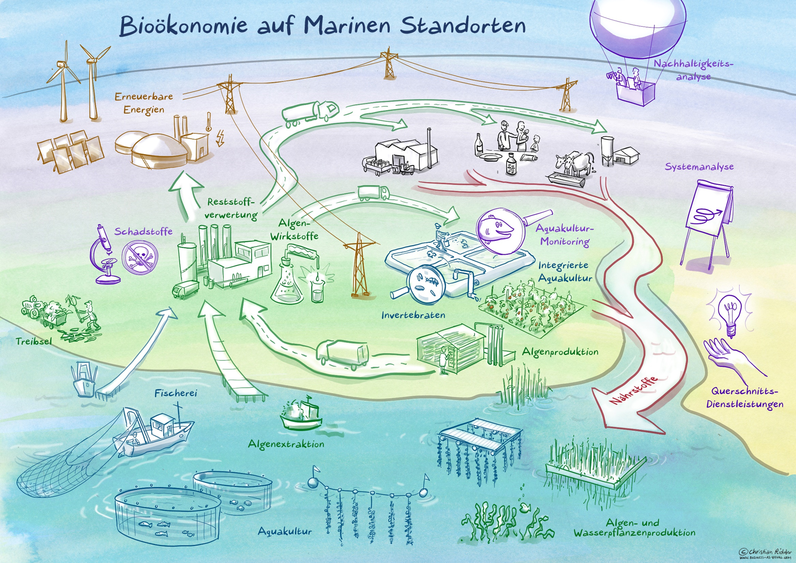 Aquaculture Europe cannot subsidize registration fees, travel or hotel costs. No Abstract Book will be printed - a compilation will be provided online and a mobile phone app to registered delegates. See the proposed list of sessions here. Kunststoff Spranger GmbH is new sponsor of EAS Student Group. Custom-designed equipment and facilities for aquaculture of fish and shrimps, applied science and quarantine systems. Consulting, design, fabrication and assembly, all from a single source since 1987. They offer a large selection of innovative solutions for Recirculation Aquaculture Systems, as well as single components such as: tanks, drum filter, biofilter, low-head oxygenation, aquaria systems and compact water cleaning units. "Meeting our customers´ high expectations for more than 30 years we offer a wide selection of innovative solutions tailored to your needs." 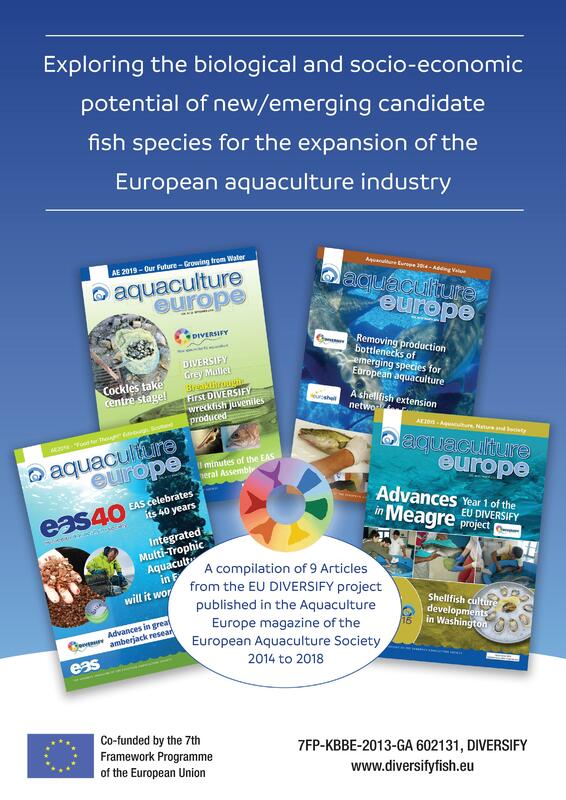 Over the past 5 years, EAS has been publishing articles in our magazine and newsletter of the EU DIVERSIFY project - Exploring the biological and socio-economic potential of new/emerging candidate fish species for the expansion of the European aquaculture industry – co-funded by the 7th Framework Programme of the European Union. As DIVERSIFY concludes with the final stakeholder meeting held in Brussels on November 22, we have produced a special compilation of 9 articles published in our “Aquaculture Europe” magazine of the between 2014 and 2018. Click on the thumbnail to get the file. 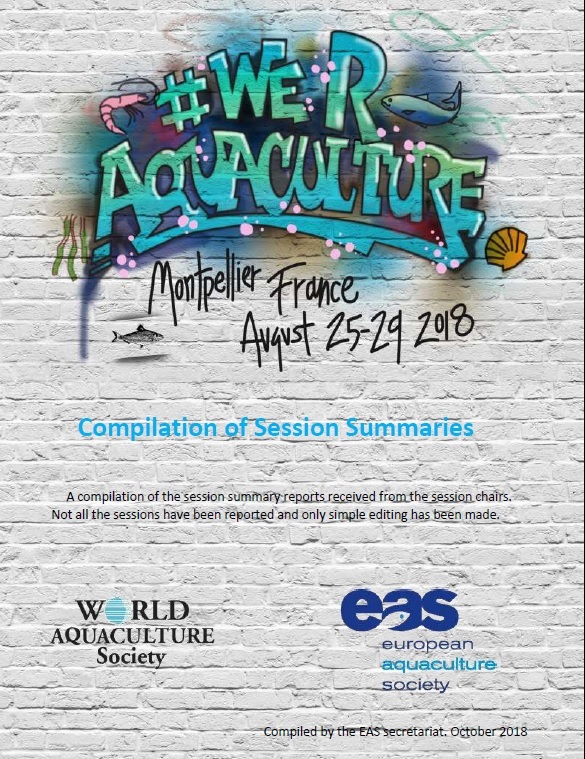 A compilation of the AQUA 2018 session summary reports received from the session chairs has been compiled by the EAS secretariat. AQUA 2018 was attended by 3003 participants from 109 countries. 800 oral and 317 poster presentations were given in a total of 81 sessions over the 4 days of the event. Not all sessions were reported and only simple editing has been made. This Special Session - held during the EAS WAS AQUA 2018 event - was convened by the Food and Agriculture Organization of the United Nations with support from Cirad (Centre de coopération internationale en recherche agronomique pour le développement) and NACA (Network of Aquaculture Centres of Asia-Pacific). Agroecology is an approach based on the use of principles and concepts of ecology, with the aim of optimizing interactions between plants, animals, humans and the environment, while taking into account ecosystem services and the social aspects essential to the sustainability and equity of food systems. For FAO, ten indicators make it possible to characterize agro-ecology: species diversity and biodiversity, co-creation and sharing of knowledge between actors, the valorisation of synergies between the various activities of the production system and with the environment, efficiency of resource use and recycling, resilience of communities and ecosystems (especially in the face of climate change), social and human values, cultural and culinary traditions, good governance and a circular economy and solidarity. See the video summary and full programme of presentationsmade during the session. Aquaculture International Impact Factor continues to rise! New site template - so where do I log in?